There are a few things that have not changed despite the digital boom that has changed the face of business. One of these things is paper mailers. Politicians and real estate agents still often like to use these mailers to get their message out. The sheer bulk of the mailers you need means that the best way to count them is actually by weight. If you are running a bulk mailing operation, you need a scale that can give you a count of your mailers. This is accomplished by weighing a bulk quantity of mailers, and dividing by the individual weight. This works for catalogues, posters, postcards, folded brochures, inserts, glossy magazines, or any hard copy advertisement or promotion you can think of. You need accurate records of the weight of these materials because weight is directly related to the cost of the mailers. This makes a key part of calculating your costs for the mailers. You need a highly precise and accurate weighing tool from Arlyn Scales to help you accomplish this. Your scale must have a high enough resolution and level of sensitivity to weigh a single sheet of cardstock or a leaflet. It also needs to be durable enough to withstand the maximum loads that will be placed on it. Beyond that, you will want to be able to customize the data readout to show you the number of mailers instead of the total weight of the mailers. Arlyn Scales offers you solutions to these concerns, and many more with our parts counting scales. 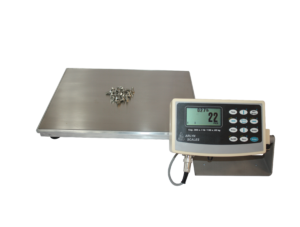 We have delivered scales that are precise enough to be used for counting small electronic parts, so they are certainly accurate enough to count mailers. If you are running an advertising plan, volunteering for a political campaign, or if you run a bulk mailer business, these scales can make your life much easier. No matter how complicated a mailer may be (gift cards, scented inserts, pullouts, glossy pictures, whatever the advertiser included) you at least can be confident that each one has a consistent weight. That means if you weigh one on a parts counting scale from Arlyn, you will have a key part of the equation when figuring out the total weight of your mailers. Once you have this much information, you can set a tare weight and measure whole carts of mailers at once. This will make your job much easier, and much more efficient. One of the ways you can make your bulk mailing operation more efficient is through custom programming from Arlyn Scales. You can set up your system to feed the weight of your mailers directly into whatever data storage system or algorithm you may have. This is a great way to go when you are trying to determine the cost of your mailers. When you have careful, accurate records of cost and quantity, you get the opportunity to become more cost-effective and efficient with your future orders. The easier you make your own record keeping system, the more likely you are to be consistent and accurate with it. You can transmit data to whatever system you have set up already using Arlyn’s numerous options for connectivity. There are numerous updates available for every scale from Arlyn, making these weighing tools adaptable to any location necessary. Surface Acoustic Wave (SAW) technology is a groundbreaking innovation in the world of industrial scales. One of the key components of any scale is the load cell. SAW technology lets us build our load cells with very little deflection. Strain gauge load cells must bend in order to develop the analog voltage that will be used to determine the weight. SAW load cells work using displacement to develop a digital frequency. The amount of strain is just a small fraction of that in strain gauge load cells. So they are inherently much more rugged and abuse resistant. Without a high degree of accuracy, parts counting scales would not be able to deliver the correct number of individual mailers or parts. SAW technology also allows for far greater accuracy than other scales on the market. This a crucial component of parts counting. Small inaccuracies will multiply over time if your scale is not sensitive and accurate enough. You need a scale that is durable enough to weigh possibly hundreds of pounds at a time, and high resolution enough to know the difference between one envelope or two of them. That’s what SAW technology lets Arlyn accomplish for you. These scales are available in a range of different capacities. Accurate information about the number of mailers you have is a key part of any bulk mailing operation. Do you work in a government building that needs to send out a mass notice? Are you volunteering for a political campaign? Are you working in a business that deals with bulk mailers? If you answered yes to any of these questions, Arlyn Scales can help you obtain the accurate records you need to make sure you are being as cost effective as possible. That’s not just good for you, that is good for the environment when you are sending out paper mailers of any kind. We can’t wait to learn more about your bulk mailing operation, and how we can be of service. To get in touch with us, just call 800-645-4301 or contact us online.